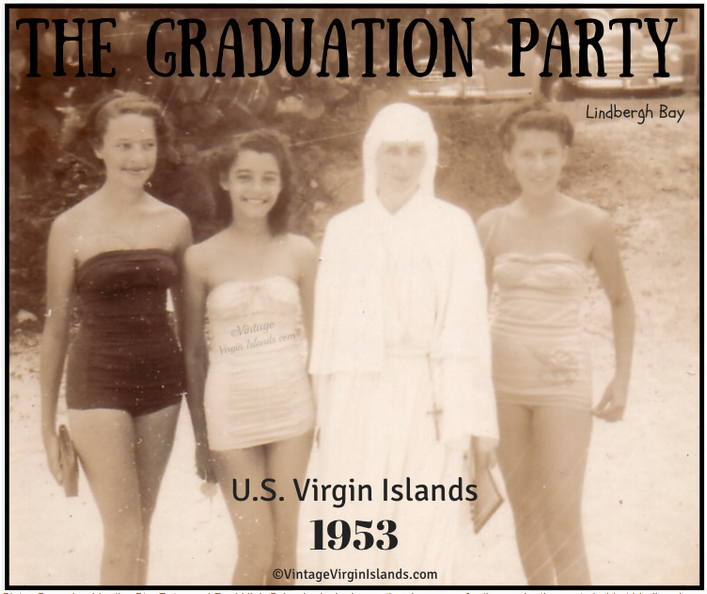 As teenagers, she and her closest cousins loved the beach! 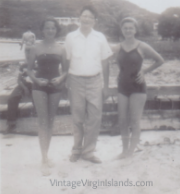 Lindbergh Bay, Magens Bay, and Lindquist Beach were their favorites! This photo, with Sister Grace Imelda, was taken at a beach party for the celebrating graduates of Sts. Peter & Paul High School. 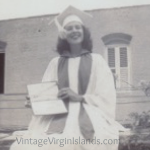 The graduation ceremony was held on June 5, 1953, at the Catholic Church and many of her classmates received honorary awards. 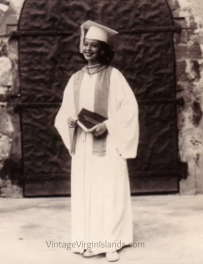 Diane Mawson, her sister, was bestowed with the highest honor for four years of study. Louis Greaux received the Leon A. Mawson Commercial Course Award. Albert Harthman, Richard Martinsen, Erik Pedersen, Mercedes Greaux, Diane Mawson, Marlene Mawson and Valerie Melchoir. 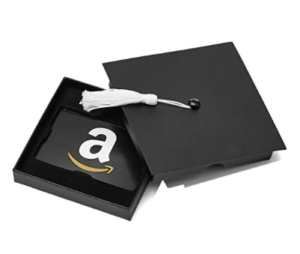 Those week-long graduation celebrations gave Marlene and her sister the fondest memories!